Police killings have revealed a startling disconnect. When citizens — sometimes armed, sometimes unarmed — are fatally shot by officers, community outrage is often followed by official pronouncements that police acted totally lawfully. According to the Supreme Court, officers usually have done nothing wrong. Yet some chiefs find the difference in perspectives to be troubling. Police leaders and federal officials met in Washington, D.C., on Friday to discuss possible reforms to use-of-force policies, which widely allow officers to kill residents if they feel threatened, even if they aren’t actually in danger. “There is a real mismatch between what community standards are, what the community expects, what they think the law should be, versus what the training and the law allows for,” said Vanita Gupta, Department of Justice’s assistant attorney general for civil rights. Charles Ramsey, who recently retired as police commissioner in Philadelphia, said police departments shouldn’t wait until a contentious incident before changing policies on how officers should use force. Under his watch, the department invited federal scrutiny of police shootings, which had increased in Philadelphia, even though crime was down. Last year, the Justice Department published a nearly 180-page report focused on the flaws that led officers to shoot too often. That type of transparency is atypical. As PublicSource reported last fall, the Pennsylvania State Police provide almost no public information on its investigations of shootings by troopers, including a basic figure for the number of residents killed. Only one line-of-duty shooting by state police since 2008 was deemed “improper” by internal investigators. Police shootings have been a contentious topic since Michael Brown, an unarmed black teenager, was shot to death in Ferguson, Mo., in August 2014. Officer Darren Wilson was cleared of wrongdoing. More recently, Chicago police and Mayor Rahm Emanuel have drawn intense scrutiny for the handling of an investigation into the shooting of black teenager Laquan McDonald. Officer Jason Van Dyke was charged with murder more than a year after the incident. In retirement, Ramsey is returning home to Chicago to advise the department on civil rights matters. An accurate count of citizens killed by police was not even known until the Post started keeping track in 2015. 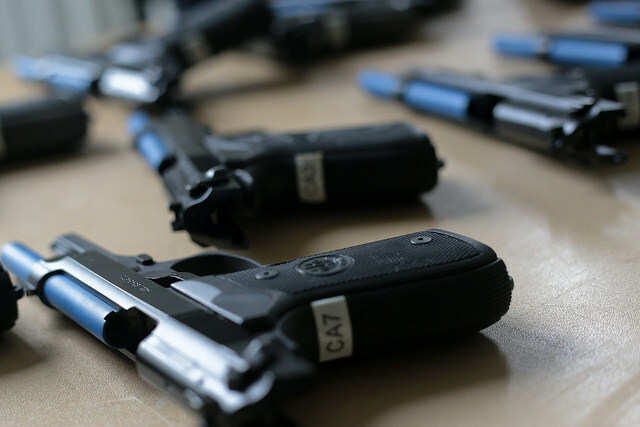 Federal data on shootings from previous years is believed to be grossly incomplete. Wexler proposed to the chiefs 30 “guiding principles” — which include prioritizing the preservation of human life, adopting deescalation as a formal agency policy, quickly releasing information about any use of force incident, and training officers that it is their duty to intervene to prevent another officer from using excessive force. Wexler’s organization, with funding from the Justice Department, is helping Pittsburgh police improve homicide clearance rates. While many police chiefs acknowledge the need for use-of-force reforms, some also expect pushback from their police unions. “[I]t’s difficult for an agency to say ‘even though the Supreme Court said this, we’re gonna say that,’” said Ed Davis, Boston's former police commissioner, according to the Post. Foster Tarver served 49 years as a murder accomplice. Should Pittsburgh’s housing authority deny him housing forever? Should a murder conviction disqualify a person from public housing? Scott Schubert is one step closer to officially becoming the chief of the Pittsburgh police. Cassidy’s family couldn’t believe his murder was unsolved. Now a new tip leads to an arrest. The murder of 19-year-old John Cassidy Davern had been considered unsolved for three months. But yesterday 18-year-old Floyd Beard of Homewood, who the family described as a friend of Cassidy, turned himself in to Pittsburgh police.